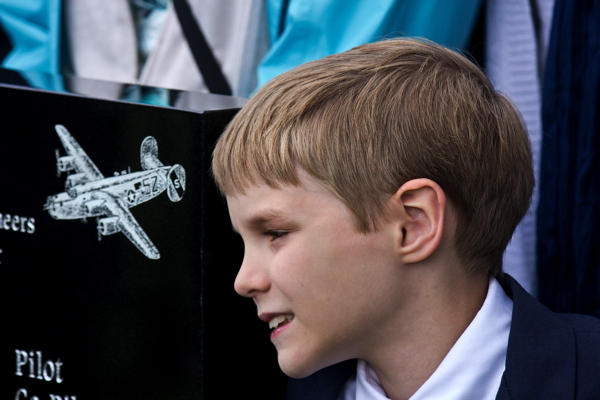 9-yr-old Sam DeBrular thinks of his great uncle Edward DeBrular. 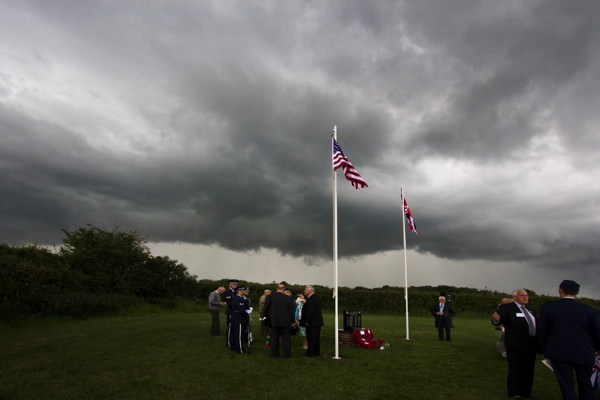 After the ceremony skies darken as people reminisce. 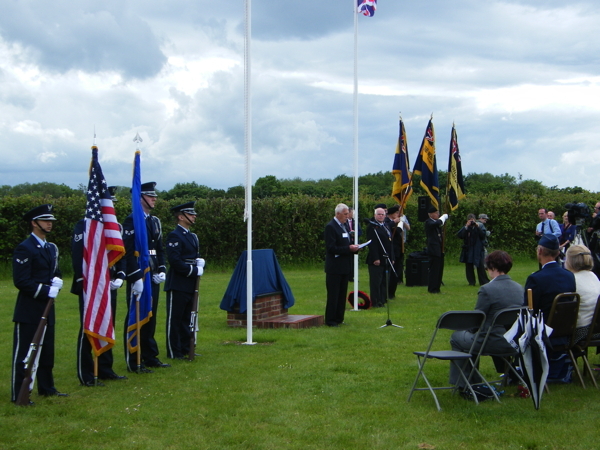 Michael Garrod, parish councillor and lead of the B-24 memorial group reads the eulogy. 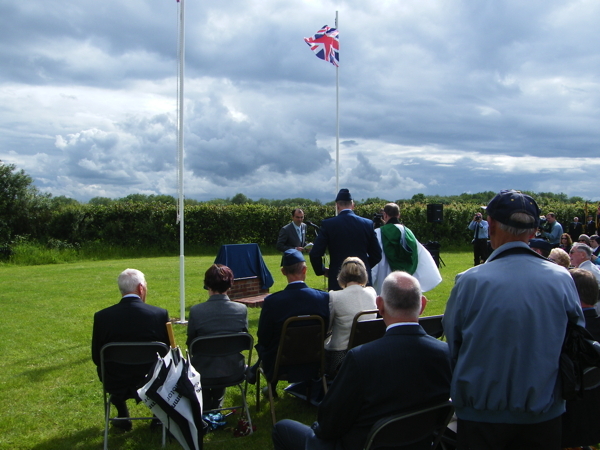 Michael Robertson, parish council chairman, welcomes all present. 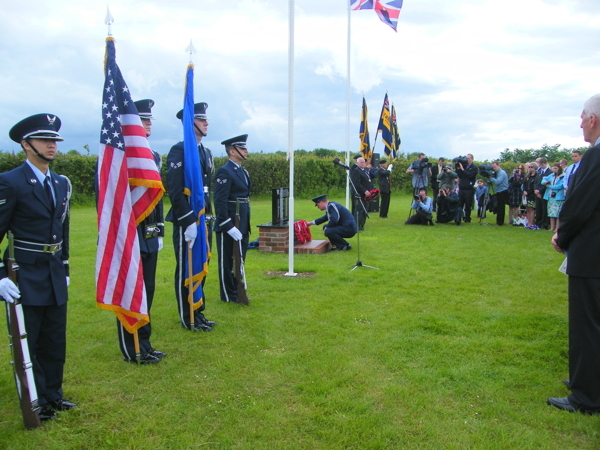 Col. Sonny Blinkinsop, US Air Attaché, lays a wreath on behalf of the US Nation whilst the TV and press capture the moment. 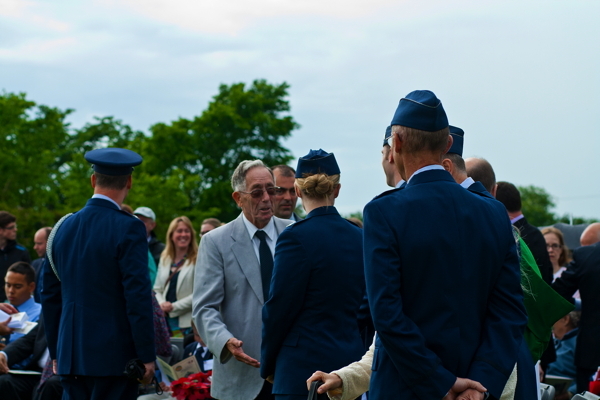 Tony Cadney, parish councillor, shares a moment with Capt. 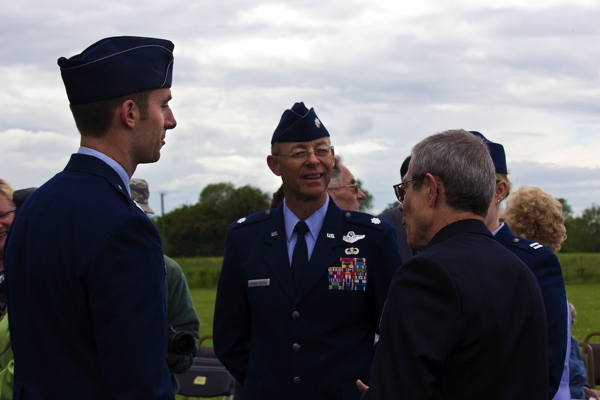 Brent “Baron” Peterson, Col. Richard “Snort” Armstrong and Capt. “mIRC” Kathleen Dell. 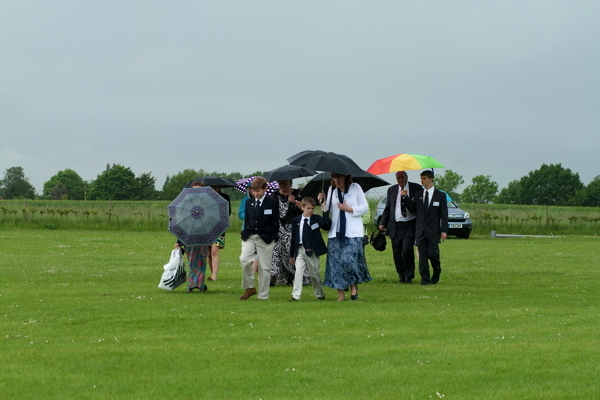 After travelling from the USA, Sam and James DeBrular with their mother Laura lead their family to the ceremony as the rain falls. 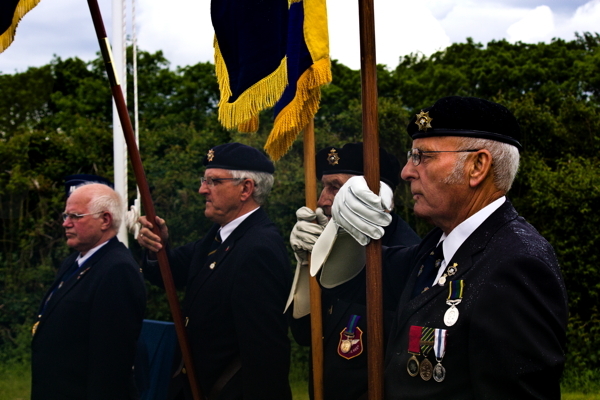 Members of the British Legion stand fast in the pouring rain. 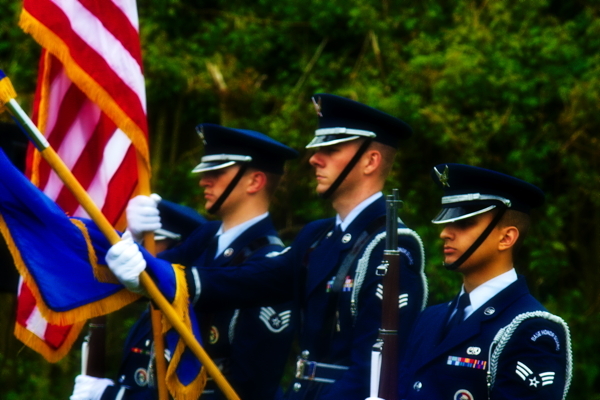 Staff Sgt Kip Holmstead leads the Honour Guard raising the USAF standard. 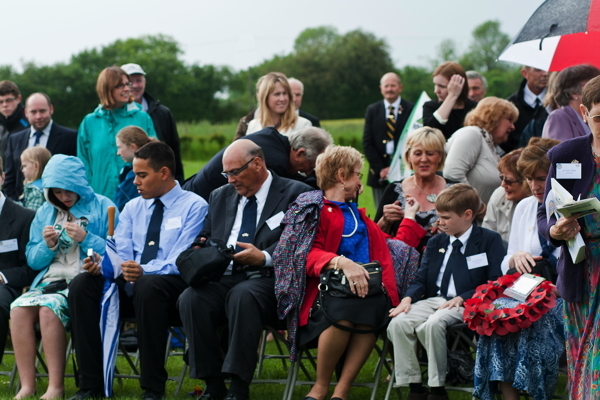 The DeBrular - Richardson family from the USA make new friends as they wait for the ceremony to begin. 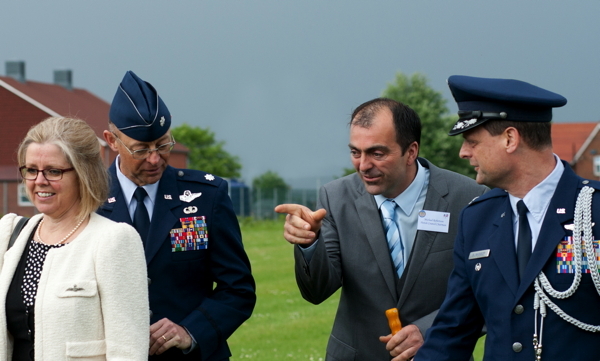 US Air Attaché Col. 'Blink' Blinkinsop and Capt. 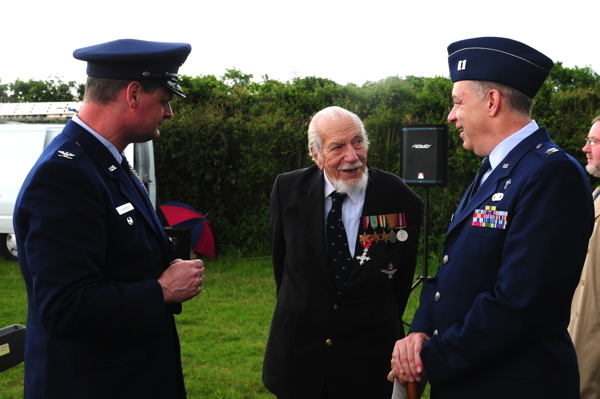 Brent 'Baron' Peterson, F15 pilot from the 492nd Fighter Squadron reminisce with the late Wing Commander Ken Wallis, WW2 Wellington Bomber pilot and auto-gyro expert and record-holder. 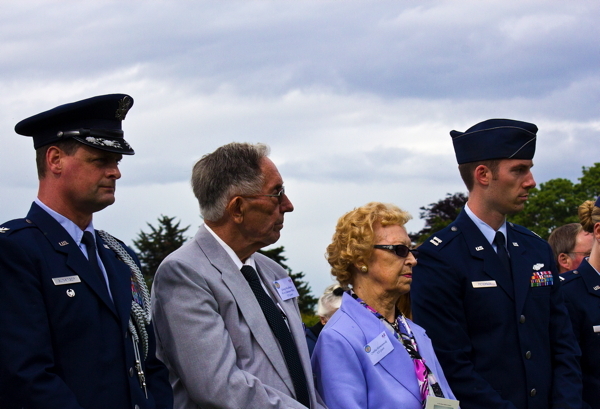 Michael Robertson, Parish Council Chairman, escorts Col. Blinkinsop, Col. Armstrong and Mrs Armstrong to their seats. 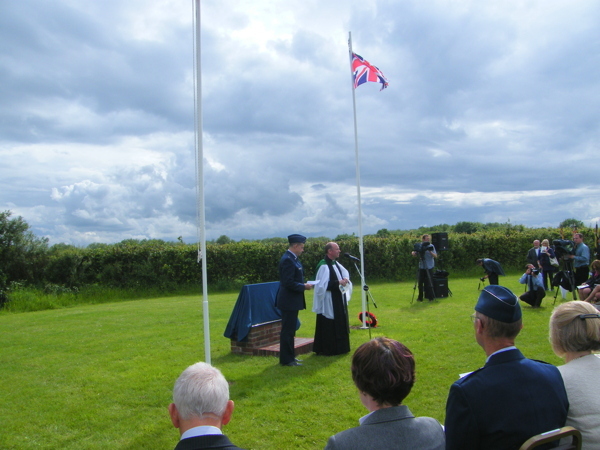 Copies of these photographs may be purchased from the photographer's PhotoBox shop here. Capt. 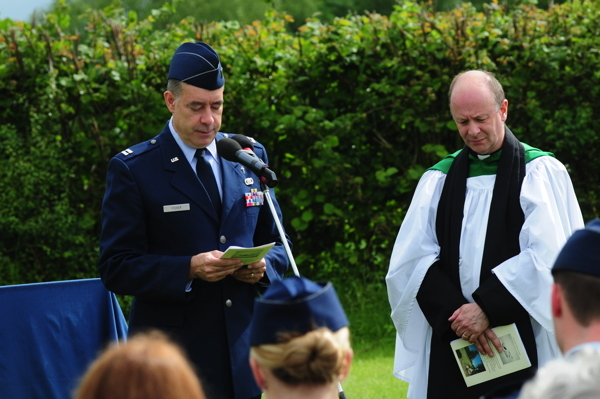 Joseph Fisher, Chaplin of the 48th Fighter Wing, leads a prayer supported by Rev. Tim Weatherstone.